In my DIY MFA posts, we spend a lot of time discussing how to explore literary themes. But we’ve yet to cover why any one theme should matter to readers. So this week, I return to the theme of family (which we first examined in this case study) and share five reasons why it’s so important. From the different types of families to historical and cultural perspectives on family, these whys show how complex and powerful this theme is and how a story can act as a window into the dynamics of a family that’s different than yours or as a mirror of your own. Here’s a question for any writers who are reading this: At what point in the writing process do you start paying attention to your story’s themes? Does theme even cross your mind as you’re brainstorming, drafting, or revising a story? If you answered “no” – don’t worry, your story probably still contains themes . However, it always helps to have a strong awareness of themes. So in my latest DIY MFA article, we explore ways in which you can develop that awareness at each stage of the process, and how that awareness can improve more than just the story. 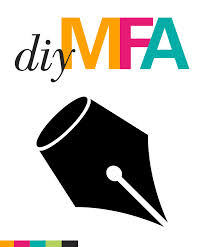 So, way back in August when I was at Writer’s Digest Conference, I joined several of my DIY MFA colleagues for a team podcast recording for DIY MFA Radio. 😀 It was SO much fun, and we talked about WDC, our tips on writing and attending literary conferences, and our DIY MFA “origin stories” (a.k.a. how we became involved with the site). The podcast is finally available for everyone to listen to on DIY MFA’s Patreon page for free. (In other words, you don’t have to be a paying patron to access it.) This episode is also a great resource for writers who are looking for tips on pitching their manuscript to agents.